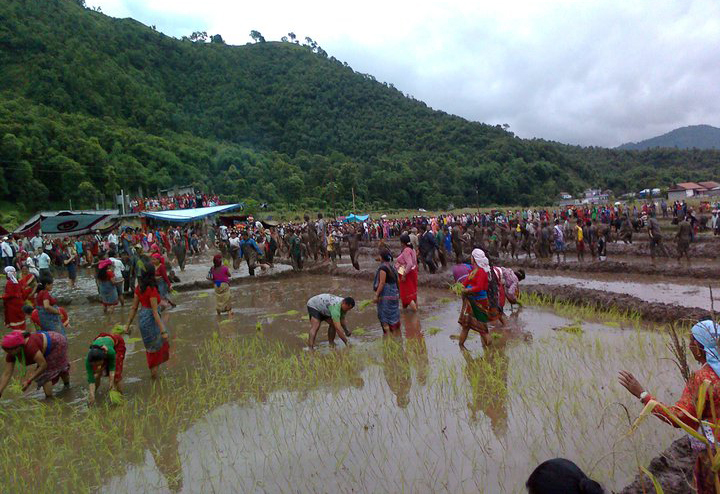 POKHARA, June 19: The 14th edition of Asare Ropai Mahotsav (the paddy seedlings planting festival) is to be held at Batulechaur of Pokhara on Asar 15. The Pokhara Tourism Council said that the Mahotsav is being organized for the development of agri-tourism and preservation of cultures. Promoted by the Nepal Tourism Board (NTB), the festival would be held in local Thulibensi Phant with the slogan of 'Pokhara for all Weather'. According to Chairman of Pokhara Tourism Council Kedar Nath Sharma, the practice of observing the day is given continuity aiming to reduce the reluctance towards agriculture and linkup the agriculture practice with the tourism. As high as 30,000 tourists including tourists are expected to join the festival, the organizer said. The total budget of the festival is estimated around Rs 1.5 million.